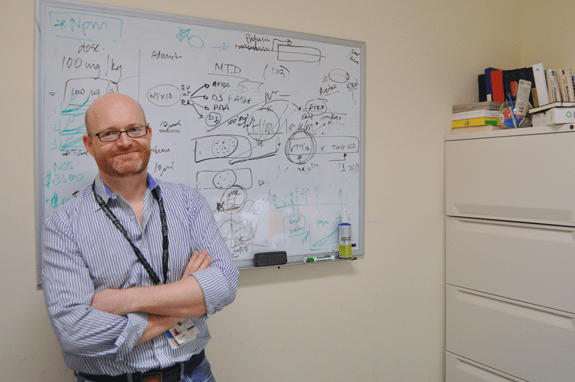 John (Sean) Clohessy received his undergraduate training the University of Limerick in Ireland, and upon completion of a MSc in Biological Sciences at Dublin City University, he pursued PhD studies under the supervision of Dr. Hugh Brady at the Institute of Child Health, University College London. In 2005 he was awarded a PhD in Molecular and Cellular Biology for his thesis on the role of Bcl-2 family proteins in apoptosis. Since 2004, Dr. Clohessy has been a post-doctoral fellow in the laboratory of Dr. Pier Paolo Pandolfi, moving from Memorial Sloan Kettering Cancer Center (MSKCC) in New York to the Division of Genetics at BIDMC/Harvard Medical School in 2007. He is currently an Instructor in the Department of Medicine at Harvard Medical School and Director of Preclinical Murine Pharmacogenetics Core.